To get help from the Planning and Estates Law Project, call 212.382.6756. The Planning and Estates Law Project (PELP) of the City Bar Justice Center offers free legal assistance with end-of-life planning, probate, and estates matters to low-income individuals in New York City. PELP consists of a panel of experienced Trust and Estates attorneys who provide advice and assistance to clients at frequent legal clinics held at the City Bar Justice Center. At clinics, attorney and law student volunteers meet with clients to assist with the clients’ estate matters and document preparation, which often involve probating a will or administering the estate of a deceased family member. PELP also offers services writing Wills and end-of-life health and financial planning documents for clients. PELP aims to combat poverty by helping clients who cannot afford to hire a private attorney claim the inheritances to which they are entitled and protect the assets that they have worked hard to accumulate. Our goal is to empower clients to claim and maintain these assets so that wealth, rather than poverty, is inherited between generations. PELP’s attorney panel is led by Chair Pamela Ehrenkranz (Wachtell, Lipton, Rosen & Katz) and Vice Chair Glenn Opell (Schram Graber & Opell P.C.). Libby Vazquez of the City Bar Justice Center oversees PELP. 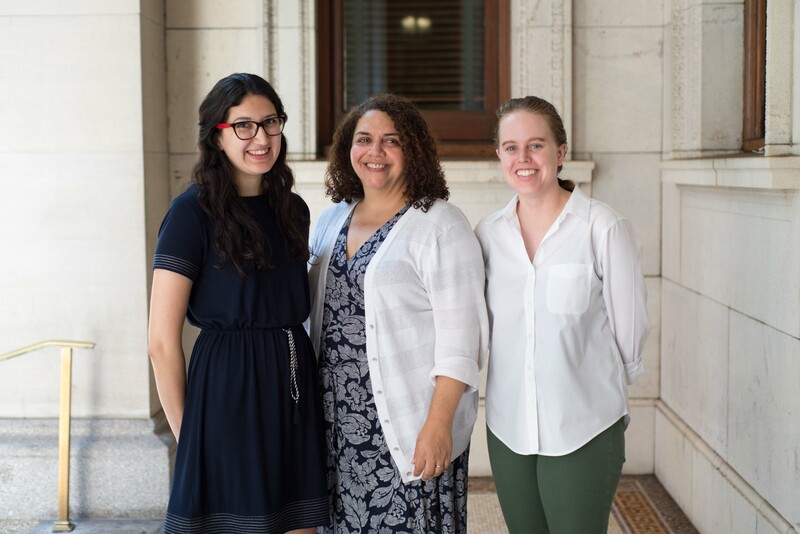 Marisa Guerrero and Kate McGuire are PELP’s project coordinators. To learn more about our work, visit our blog. Please note that PELP cannot provide representation in court or assist with contested matters. Not sure if this is the right project? Contact our free Legal Hotline at 212-626-7383. You can apply online for assistance from the Planning and Estates Law Project. Once you complete the application, we will contact you within two business days. Advanced Cancer: What Happens to My Medical Debt After I Die? Tuesday, July 9, 2019 (5:30 PM – 7:30 PM): A small business legal clinic will be held in Brooklyn at the Brooklyn Library, located at 10 Grand Army Plaza, Brooklyn, NY 11238. By subway, this location is accessible via the 2/3 to the Grand Army Plaza Station. To register for an appointment, please contact the Brooklyn SBDC at 718-797-0187. Wednesday, June 12, 2019 (5:30 PM – 7:30 PM): A small business legal clinic will be held in Manhattan at the Upper Manhattan NYC Business Solutions Center, located at 361 West 125th St, New York, NY 10027. By subway, this location is accessible via the A/B/C/D to 125th St. To register for an appointment, please contact the UMBSC at 212-749-0900.